This conversation was sponsored by Giving Assistant. View our disclosure policy here. It is no secret that I am a huge fan of cash back programs, as well as online shopping. 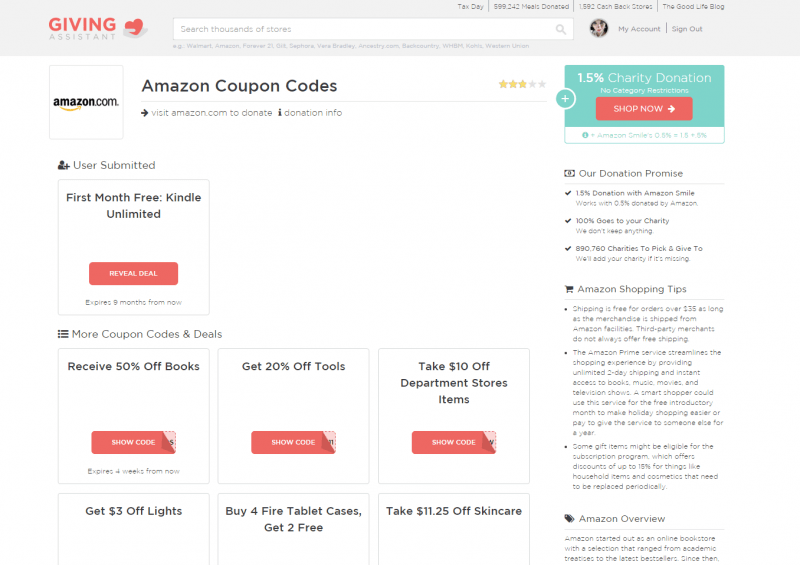 I do the majority of my shopping online, and always make sure to shop through cash back programs so that I can make each purchase work for me. 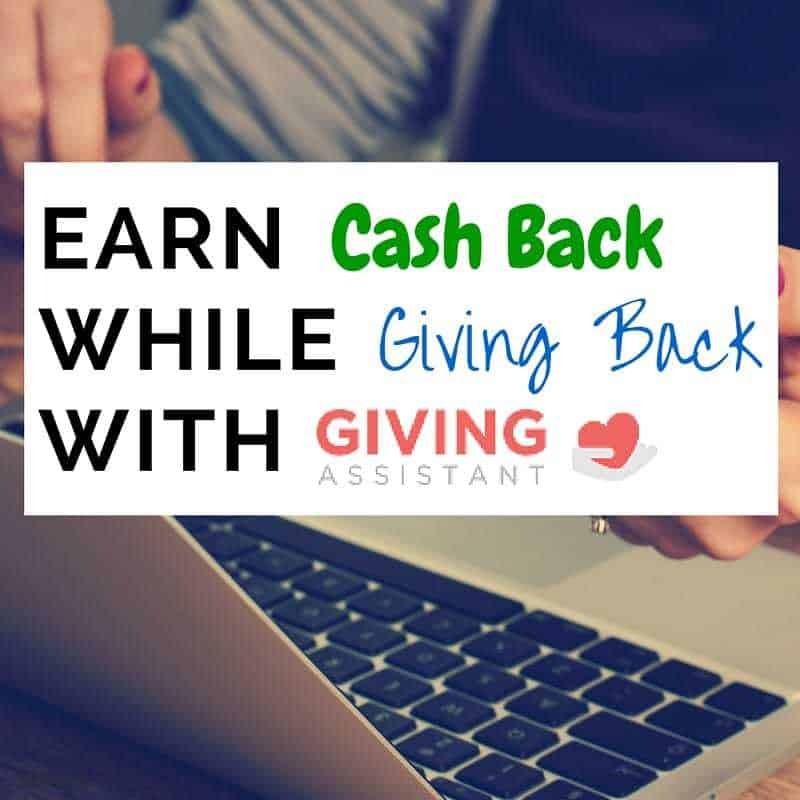 I recently discovered a cash back program called Giving Assistant which has totally won me over. Giving Assistant's mission is to save you more money, so you can better care for your loved ones and support charity. Signing up with Giving Assistant is free and takes less than a minute. In fact, they will even give you $5.00 just for signing up! When you click through to an online retailer from Giving Assistant and make a purchase, Giving Assistant is paid a commission for originating the sale from their website. This commission is usually a percentage of the total sale amount (5% for example). Giving Assistant gives 100% of the commission made off their members' sales right back to their members as cash back. When non-members make a purchase Giving Assistant keeps the commission and makes a small donation to Feeding America to give one meal. To date Giving Assistant has donated over 599,000 meals! With certain retailers where offering cash back is not possible, Giving Assistant offers a donation percentage instead. For example, when I order from Amazon Giving Assistant donates 1.5% of the amount I spent to charity. But for the vast majority of retailers on their site, Giving Assistant is able to offer cash back. As a Giving Assistant member, you can decide whether to keep your cash back or donate it the charity of your choice. 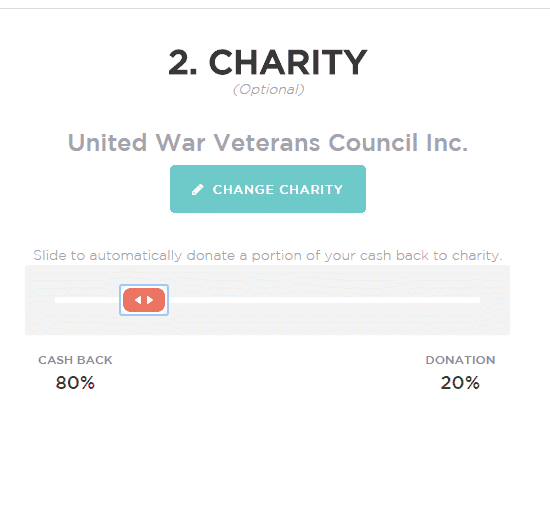 You can even choose to donate a percentage of your cash back and keep a percentage for yourself. What you do with your cash back is entirely up to you. Do they offer cashback for my favorite stores? With over 1500 stores listed on Giving Assistant, chances are that your favorite stores are listed on there. 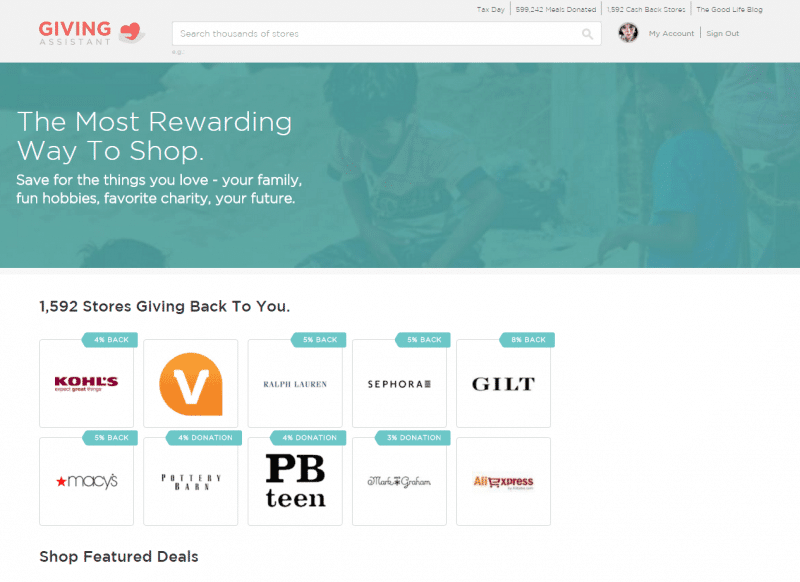 They have all of my favorites, such as Amazon (1.5% charity donation), Macy's (5% cash back), Walmart (4% cash back), and Kohl's (4% cash back). How long does it take for the cashback to show up in my account? After you make a purchase it typically takes just 2-7 days for the cash back to show up in your account. What is the minimum amount needed to cash-out? Giving Assistant allows you to cash-out once you reach just $5.01 (Not $20 or $25 like many other cash back programs). No, not at all. Ever. Giving Assistant is 100% free. In fact, if you sign up here through this special referral link they will even pay you $5 just for signing up! Once you are signed up, you can refer your friends to join as well. There is no limit to how many $5 rewards you can earn for inviting your friends! Once I am signed up, how do I used Giving Assistant when I shop? I would recommend bookmarking the Giving Assistant homepage in your toolbar so that it is easy to find when you are ready to shop. Otherwise, you can simply type givingassistant.org into your address bar. Once on the site make sure to login. Once logged-in you can search for the retailer of your choice, or browse retailers by category. When you find a retailer you want to visit, click “Shop Now” to be taken to the retailer's site. Let me walk you though how I used Giving Assistant to make a purchase on Amazon this morning. Next, I typed “Amazon” in the search bar at the top of the page. This brought me to Amazon's Giving Assistant page. Here I clicked on the orange “Shop Now” button on the top left, which took me to Amazon. At this point I just went about my shopping like I typically do!. Easy Peasy, right? What are you waiting for, sign up today and starting saving money and helping to support charity! I am going to have to look at this a little closer. I didn’t even know that programs like this even existed before to be totally honest with you and I am not sure if we have something like this in Canada. Such a great way to give back! I have never heard of Giving Assistant but they sound pretty neat! I will definitely have to look into them and do some shopping. Thanks for sharing! I LOVE Giving Assistant. It’s the only one that gives back on Amazon. Unfortunately they don’t give back as much as they used to, but at least it’s a little bit since I shop there quite a bit. This is an exciting way to earn money. The sign-up bonus is too appealing and I can bet that many people would want to try this as soon as they know the easy steps to follow. Donation percentage sounds reasonable. Now this, is wonderful! I love the fact that you could give back by doing something that you would normally do anyway! I am definitely going to have to check this out and give it a try! This is fantastic! What a brilliant way to give back. I don’t think we have this kind of thing in the UK. I will have to look into it further. We have Quidco where you earn cashback on online purchases but nothing goes to charity through that. Giving Assistant is new to me. I currently use a couple of other cash back sites but Giving Assistant has me intrigued. I would love the option of being able to donate to charity while shopping. Thanks for sharing this great site! I’ve honestly never tried any of the cash back sites. I do like the idea that this one not only gives me cash back but also does something good as well. It’s nice. I’ll have to check this out. With all of the sites out there that do rewards programs for spending, I can’t believe I’m not already using one. I like that this one gives back to the community. This sounds like an awesome program! I am surprised that this is the first time I am hearing of it!